Last night more viewers were interested in seeing what Gogglebox had to say about the Honey Badger’s final episode than they were in following Ali Oetjen’s latest pursuits on The Bachelorette. On Wednesday the dating show launched with the lowest numbers of any Bachelor franchise at 631,000 viewers. Last night it dropped to 539,000, third in its slot. 7:30 ranked first at 570,000 then an extended Home and Away at 567,000 (from 7pm). Nine’s observationals RBT and Driving Test followed TEN. After 8:30pm Gogglebox won its slot at 677,000 and topped the demos but it was challenged by newcomer Paramedics at 612,000 for Nine. Grand Designs Australia (from 8pm) was ahead of Modern Family. New SBS series How ‘Mad’ Are You? debuted to just 173,000. Seven News, ABC News (with some problems in Victoria) and The Chase won their slots. Nine network won Thursday with 27.2% then Seven 26.9%, TEN 21.4%, ABC 15.8% and SBS 8.7%. Nine News was best for Nine at 832,000 / 828,000 then A Current Affair (680,000), Paramedics (612,000), RBT (496,000), Driving Test (480,000), Hot Seat (435,000 / 277,000), and Chicago Med (244,000). Seven News was #1 for Seven at 850,000 / 835,000) then Home and Away (567,000), and The Chase (526,000 / 309,000). Modern Family drew 241,000 / 199,000) and movie: This Means War was 134,000. Gogglebox was best for TEN at 677,000 then The Bachelorette (539,000), The Project (443,000 / 264,000), TEN Eyewitness News (359,000), Playing for Keeps (216,000) and Pointless (206,000). ABC News (692,000), 7:30 (570,000), Grand Designs Australia (506,000), Sammy J (251,000) and QI (220,000), comprised ABC’s night. Wentworth was just 86,000. On SBS it was Tony Robinson’s Hidden Britain by Drone (298,000), How Mad Are You (173,000), SBS World News (135,000), War and Peace (128,000) and The Chef’s Line (79,000). 7TWO’s Father Brown topped multichannels at 187,000. OzTAM Overnights: Thursday 11 October 2018. I am right now, watching The Bachelorette…by default…just got left on TEN after TLR…. Ouch, I thought Playing For Keeps would be doing better than that, maybe on streaming & encores will make up the numbers a bit? I personally like the show, it’s not amazing but Maddy West & the the rest of the cast hold it up well. 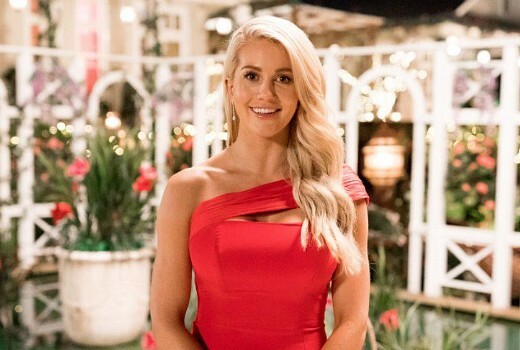 Is The Bachelorette down, due to the ‘politically correct, left wing society’ Australia has turned into? > the ‘politically correct, left wing society’ Australia has turned into? Exactly, last year there was a 12 day break between the two shows and this year a 6 day one, plus last years Bachelor didn’t end on an unsatisfying note and the contestant on the Bachelorette hadn’t got negative comments after it was revealed that it was Ali. No, the Bachelorette is down in the ratings because Bachelorette viewers can’t cope with a Bachelorette who is alleged to have behaved like all of the Bachelors have. now with all the footy finished and all the footy shows over, it’s nice to sit down and watch gogglebox. I didn’t think they would start off with the bachelor. thought they may have held it back to keep people watching. Flowing one Batch into another is an issue for many. There should be some daylight between them in my view. It might be a bit hard for everyone to cheer on a cheater. Does she deserve to find love? It’s a shame though because The Bachelorette tends to be more entertaining than The Bachelor. She’s great/likeable on it, nonetheless. I’m keen to the contestants to ask her about Grant. So does this mean that from now on Ten will only cast celebrities as their Bachelors and Bachelorettes? Dont see why. These low ratings are mainly due to Ali. Ten received nothing but negative comments after it was revealed that she is the new Bachelorette. Pointless continues to be a big problem for Ten. There’s a ‘watch’ missing from that sentence. I have been watching Pointless since it commenced and it is getting better every night, the stiffness between the two has softened and now very enjoyable. I also think that running the two Batchelor and the female counterpart the week after I think is a bit too close. I like her, I think Nick has turned some people away but they will come back a little later in the series. All in all I am looking forward to seeing what Ten has to fill their summer schedule now there is no Big Bash, I will not be watching Seven Foxtel cricket. What can Seven/Foxtel do different….it is still dangerous going out in the hot noon day sun, with a small piece of wood to defend three smaller pieces of wood against a lethal projectile coming at you at over 100 kms per hour, really !! I find that really annoying too, how they don’t leave the q board up for long enough, not that I watch it much but despite complaining about too many encores I caught some on the weekend. It’s rating about the same as Family Feud (perhaps slightly worse). At home, we make fun of Humphries’ ridiculous histrionics on display when he announces the grand total cash prize of a couple of grand, and I then realised that the whole reason why they even dumped Family Feud in the first place was to (subtly) reduce the cash prize via a new format rather than drawing criticism for lowering the cash prize in an existing one. Seems many, like our house, are over The Bachelor/Bachelorette shows following the way the last one ended. Home and Away was the highest program outside news (even though 3 eps combined) and couldn’t crack 600k. New Modern Family in prime time tanked and dragged down the good share Seven had earlier in the night. RBT not what it once was, getting 400k mark lately. Bachelorette couldn’t win 25-54s. Biggest for me was 7mate’s brand new Deadly Down Under which couldn’t make Top 20 there, insult that more Highway Patrol re-runs (not usually on that night) rated much bugger, even in Sydney (top multichannel show) where the show isn’t filmed! Sully take off the Seven glasses, Gogglebox was highest outside news & current affairs no mater how you cut it up. Paramedics was next. Nate, it was a careless mistake, David was incorrect in his assumption, I’m sorry this sort of trend seems to follow me around. I legitimately accidently overlooked the Gogglebox entry. Sorry sorry guilty as charged. I’m sorry I gave such a ‘ reputation’ (?) that this conclusion wasn’t even drawn first. Whoops, my mistake. That’s interesting in itself, the lead out show rating higher than the lead in show for Ten. even I can see you are wrong about home and away…..when I went to school, which I admit is a long time ago , 677, 000 and 612, 000 were bigger than 567, 000 (and both were over 600,000)…. Alright, I think I’ve explained myself. Enough. Most likely the ratings are way down because no one is interested in Ali. Ten received a lot of negative comments after it was revealed that she would be the new Bachelorette.